Detail from the ironwork on the gates, near the building dock, facing the Sydenham Road. They are very similar to those at the former headquarters building, on the Queen’s Road but not in the same condition. 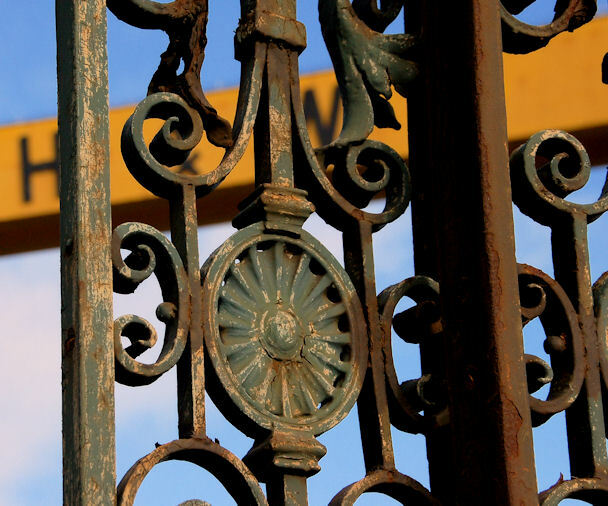 Some photographs showing the gates at the former Harland & Wolff offices J3575 : Former Harland & Wolff headquarters building, Belfast (1) on the Queen’s Road and those between the Sydenham Road and the building dock J3575 : Two unusual ships in Belfast.